[패턴 영어회화] Is + A + healthier for you than + B? Is + A + healthier for you than + B? B보다 A가 건강에 더 좋은 거야? 붉은 육류보다 생선이 건강에 더 좋은 거야? 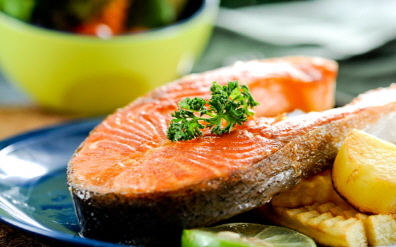 Is fish healthier for you than red meat? 커피보다 차가 건강에 더 좋은 거야? Is tea healthier for you than coffee? 포도보다 건포도가 건강에 더 좋은 거야? Are raisins healthier for you than grapes? 닭고기보다 달걀이 건강에 더 좋은 거야? Are eggs healthier for you than chicken? 통조림보다 신선한 과일이 건강에 더 좋은 거야? Is fresh fruit healthier for you than canned fruit? 맥주보다 와인이 건강에 더 좋은 거야? Is wine healthier for you than beer? 과일보다 채소가 건강에 더 좋은 거야? Are veggies healthier for you than fruits? 우유보다 물이 건강에 더 좋은 거야? Is water healthier for you than milk? A: Is fish healthier for you than red meat? B: They both have their benefits. 둘 다 각각의 이점이 있지. A: Is wine healthier for you than beer? 맥주보다 포도주가 건강에 더 좋은 거야? B: That depends on who you’re with. 누구와 함께 하는가에 따라 다르지. A: Is water healthier for you than milk? B: Water can’t be beat (=beaten).